Looking for Wolfenstein: The New Order cheats on PC, Xbox One, Xbox 360, PS4 & PS3? Here we’ll list Wolfenstein: The New Order cheat codes and unlockables with tips for Bethesda Softworks’ new first-person shooter game. In the central Berlin hideout house you and the Resistance have made your own — in Chapters 5, 7 & 9 — go into a room on the top floor with some crates and an empty bed with a light and Wolfenstein 3D poster above it. Walk up to the bed’s pillow and you’ll get the “Nightmare” indicator on-screen. Hold the action button to activate a bonus game… the first level of classic Wolfenstein 3D! You get to play “Escape from Castle Wolfenstein” with its glorious ‘2D graphics’ until you die and then you’ll wake up again in the bedroom you were in. Note: You can only replay it to try and finish it by replaying or restarting the Chapter you’re in and going back to the Wolfenstein 3D poster room. Finishing Wolfenstein 3D Level 1 will only result in you waking up in your bed. Collect Enigma code pieces to complete Enigma code puzzles within the Extras section in the Main Menu. A solved Enigma code puzzle with unlock bonus modes. — You’ll first need to collect each of the individual Enigma Code Pieces in the campaign using our locations guide (listed above). – Start with 999 health. Note: You’ll need to have collected all Enigma notes that start with the numbers #1 & #8. – All HUD elements disabled, except for the interactive prompts. – Rely fully on your senses to survive. – ‘I Am Death Incarnate!’ difficulty level. Note: You’ll need to have collected all Enigma notes that start with the numbers #2 & #7. – All health and armor pickups removed from the game. Note: You’ll need to have collected all Enigma notes that start with the numbers #3 & #6. – ‘Game Over’ if you die. Note: You’ll need to have collected all Enigma notes that start with the numbers #4 & #5. •	Pre-order Wolfenstein: The New Order at retail and as a bonus you’ll receive a code to access the beta for the next DOOM game! An insert will be included inside your boxed copy of Wolfenstein: The New Order. This insert will include a key code along with code redemption instructions. Once the key code is redeemed, you’ll be registered to participate in the DOOM beta once it begins. Check back at wolfenstein.com/doom for updated information. •	Pre-order the digital Steam PC version of Wolfenstein: The New Order and get 2 exclusive Wolfenstein Team Fortress 2 items along with access to the upcoming DOOM Beta when available on Steam. The Wolfenstein TF2 Items: Die Regime-Panzerung & Der Maschinensoldaten-Helm. In the previous Wolfenstein game, after completing the game on any difficulty level, a cheats menu would unlock. Work-In-Progress: There are no Wolfenstein: The New Order cheats on Xbox One, Xbox 360, PS4, PS3 & PC yet. Until they are discovered, we made the handy Wolfenstein: The New Order guides listed above to help you with tips and tricks for the game! 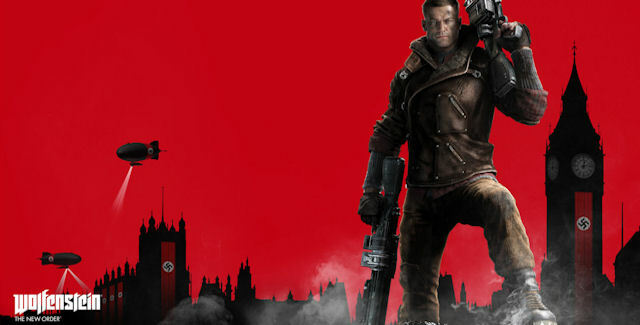 Do you know of any Wolfenstein: The New Order cheats or unlockables? Let us know in the comments, you’ll get credit for finding out. – Thanks for visiting!